The outing Arthur takes with his three sons, twins Ivan and Eric and their half-brother Martin, turns out to be much more than just a pleasant way to spend the afternoon. In its aftermath, he disappears, only to reemerge in the press as a successful writer, occasionally popping up to take his sons out for lunch at inopportune times. 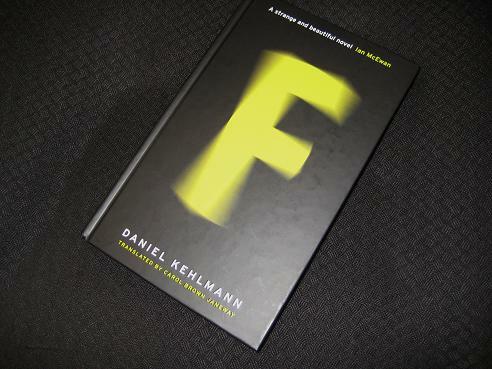 Kehlmann’s a writer I’ve been meaning to try for some time, so I was happy to see this on the longlist, and F is a novel most will enjoy. It’s divided into several parts, the most important of which are the prologue (which chronicles Arthur’s disappearance and sets up the main part of the novel) and three main sections following each of the brothers. As the story progresses, the reader is fed clues as to what is happening and each section explains some of the puzzling actions from the previous parts – which is not to say that everything is revealed. While Arthur shot through and seemingly succeeded in his craft, his sons, all approaching middle age, are beginning to realise that their dreams, whether those involve fabulous wealth, eternal fame or Rubik’s success, are unlikely to ever come to fruition. With that being the case, the brothers are forced to contemplate a life without excellence, an existence some will adapt to better than others. Another issue I had with F is that it’s one of those books which could have been set anywhere, written by anyone. If this had been published under the name of Martin Amis or Ian McEwan, I doubt anyone would have noticed, and while that’s fine in some ways, in others it’s a little disturbing. I hope that this isn’t the future of international publishing, books which appear written to pander to the Anglo middle classes. Perhaps I’m exaggerating a little here, but one thing I’m sure of is that it’s most definitely a Quercus book than a MacLehose one. No, I don’t think so. It was an enjoyable read for the most part, but there was nothing outstanding about it. 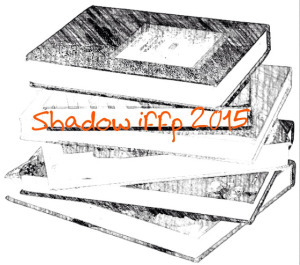 Clever in places (a bit too clever in some aspects), F is a book which plays around a little too much. Some readers will enjoy that, but I never really thought that it hit the heights I was expecting. Why did it make the shortlist? Well, I had been too scared to look, but a very fair review. The only thing I would take issue with is the idea that it “could have been set anywhere, written by anyone”. I agree it doesn’t have a strong sense of location (though it’s clearly a European novel) but I don’t feel I need all German novels to scream ‘Germany’ at me. I wouldn’t, however, associate McEwan and Amis (your interchangeable authors) with novels that could be set anywhere. I also don’t think it is “like the books you usually read” – cleverness is something that’s generally regarded very suspiciously in English fiction!